I stopped off at McDonald's the other day for breakfast to go. 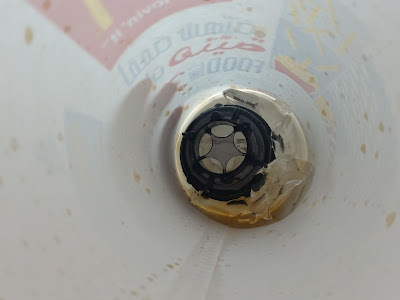 After I finished the food I lifted the top off of the cup to get some ice and then I discovered the nozzle to the soda machine at the bottom of my cup, yuck! 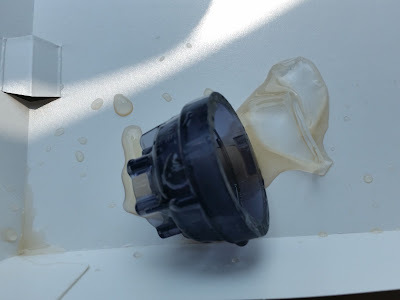 I pulled over to further inspect and yes a nozzle was there in all its glory, now we all know that those things are not the cleanest item in restaurants and this one had been soaking in my diet coke. I'm not even surprised by the the response of the manager. I have had this happen just today! Its ridiculous. No way! 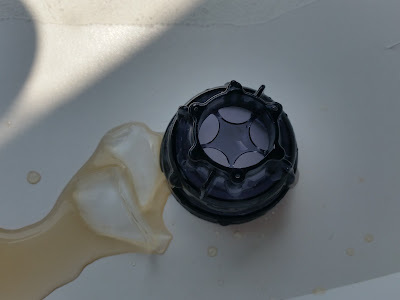 Did you find it after you finished your drink? I can just imagine what kind of bacteria is on it, yuck!